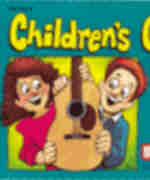 A popular and creative method for teaching guitar to young children. This approach to learning integrates, from the very beginning, chord playing and note reading. Full of creative illustrations and color. The CD features William Bay on guitar and is recorded in a split-track format.